Indian govt's order asks Kashmir govt to stop ads in 'anti-national' papers. What next? The Union Home Ministry’s direction to the state government to stop advertising in local newspapers that publish “anti-national articles” has generated some alarm in media circles in the Valley. For these newspapers, government advertisements are a predominant source of the revenue. The move is seen as designed to further tighten the noose around the Kashmir press already reeling from the serious financial issues due to a drastic reduction in advertising inflows from a small and beleaguered private sector since the unrest last year. “It is not that such policy didn’t exist before or that Kashmiri newspapers are not strictly scrutinised for their content. But by issuing an explicit order, the government has made things black and white. And the truth is not black and white. More so, in Kashmir” says Sajjad Haider, the editor of the daily Kashmir Observer. Haider is also the Vice President of Kashmir Editors Guild. “Who will determine what is anti-national? Our worry is that they will use the direction arbitrarily against newspapers who write anything that is perceived undesirable to the establishment,” Haider said. On the other hand, J&K's Power Development Minister and the state government spokesman Naeem Akhtar said the government will examine the Home Ministry’s order. “National interest is everybody’s concern, of the Government of India and of Jammu and Kashmir as well,” Akhtar told the Catch. The new criteria, if it is strictly implemented, will create serious issues for the freedom of expression for the newspapers in the Valley whose coverage spans the uneasy mainstream-separatist divide. “Separatism and the news related to it makes the major component of the newspaper content in Kashmir. So, there will always be issues and there will always be excuses to stop the advertisements,” says Naseer Ahmad, a local columnist. “This would not only create survival problems for the local newspapers but also undermine their credibility if they are perceived to play down the situation in the state to curry favour with the government. This could shift more public traffic to social media. Will this be in the national interest?” Ahmad asked. As for banning a newspaper for carrying the alleged anti-national stories, J&K already has a precedent. Last year, the state government had banned the publication of a local newspaper Kashmir Reader for being a threat to peace. An order to the effect passed by the Srinagar District Magistrate Farooq Ahmad Lone had accused the paper of containing – “such material and content which tends to incite acts of violence and disturb public peace and tranquillity”. Earlier, during the early days of the outbreak of the unrest following Hizbul Mujahideen commander Burhan Wani’s death, the state government had in a midnight swoop seized the newspapers in Srinagar and prevented their distribution. For three days thereafter no newspaper was published from Srinagar. However, the Home Ministry direction is creating the grounds for a wider assault on the media. “It is like the Union government has decided to open another offensive against Kashmir media concomitant with its scorched earth policy towards militants and separatist politicians,” said another editor who didn’t want to identify himself. “But the step is so uncalled for. In the past thirty years, Kashmir press has largely been fair and objective in its coverage despite facing a hostile situation on both sides of the mainstream-separatist political divide,” he added. J&K has few largely circulated newspapers, for example – Daily Excelsior in Jammu and Greater Kashmir in Kashmir Valley – but there are hundreds of small newspapers who subsist on government advertisements. According to Khalid Bashir Ahmad, an author and a former Director Information, newspapers in J&K have registered 1,110% growth since 1946. “In 1946 under the Government of Maharaja Hari Singh, the number of newspapers approved for government advertisements was 38 (Kashmir 19, Jammu 16, Poonch 2 and Inter-provincial 1). The number of such newspapers has today reached 422 (Kashmir 177 and Jammu 245),” Ahmad wrote in a recent newspaper article. But the total number of newspapers, approved and unapproved for the release of government advertisements is 660, writes Ahmad. Kashmir Valley has 295 of them and Jammu 365. The state government’s advertisement budget has also considerably grown. “Against a committed expenditure of Rs. 99.73 lakh in 1997-98, the current year’s allocation is Rs. 29.75 crore. That is a whopping 3,000% increase in 20 years,” Ahmad wrote. However, it is the Valley-based newspapers which have intermittently been denied government advertisements in response to their alleged anti-national content. For example, the largest circulated newspaper of the Valley, Greater Kashmir, has been denied DAVP ads since 2010. 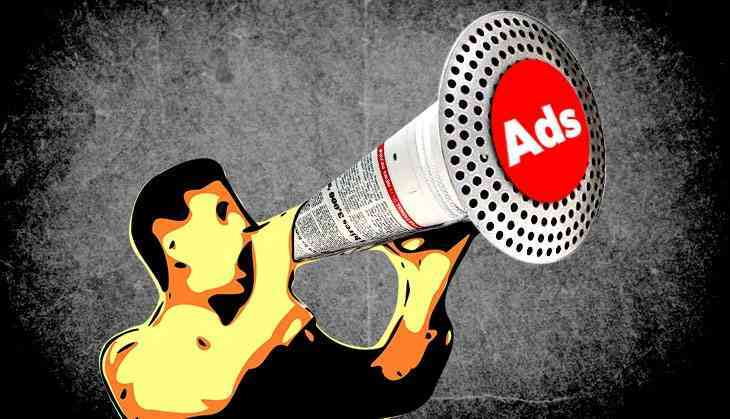 In an order issued early this year, the DAVP, the nodal department for issuing advertisements to the print, electronic and online media on behalf of the government of India, had asked J&K Information Department to verify the local newspapers. “We hope the state government acts more cautious in regard to its approach to local newspapers. As of now, we are keeping our fingers crossed,” said Sajjad Haider. TWEET THIS Another affront against Kashmir's press? Indian govt's recent order is looking to gag revenues Indian govt's order asks Kashmir govt to stop ads in 'anti-national' papers. What next?